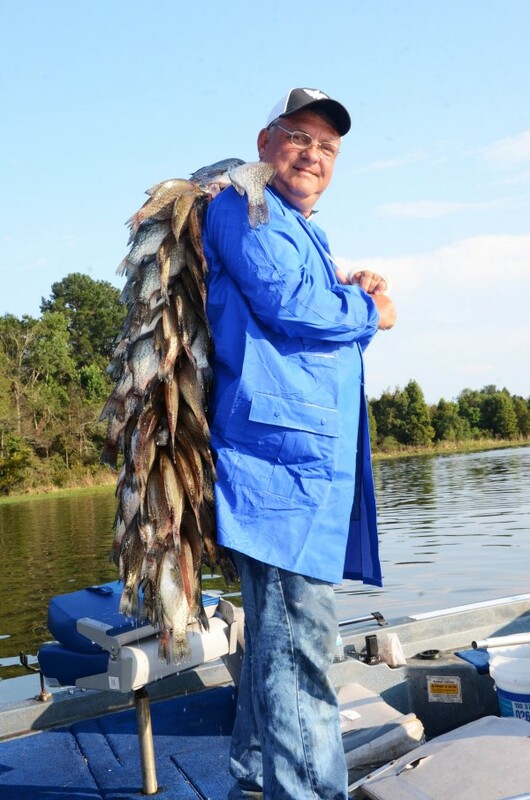 “Tony Adams, who will be your fishing guide, assures me he’s found a spot where y’all should be able to limit out on crappie in 2 hours, and on your way to that spot, Tony will put-out jugs to catch catfish,” Mayor Jack Tibbs of Eufaula, Alabama, explained before my trip. Adams arrived in Eufaula to take a new job in 1989 and started fishing for crappie and building and sinking fish attractors in Lake Eufaula. 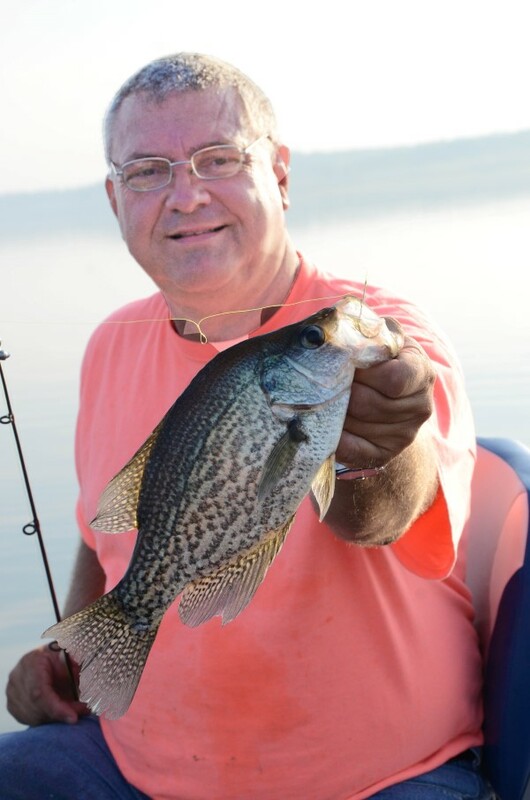 Today because Adams has 250 spots he can fish successfully and rarely, if ever, does he find anyone fishing those same places, he catches crappie weighing 3/4- to 2 pounds each. 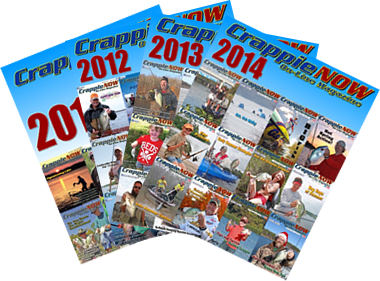 Here’s a look at Adams’ fishing tactics to help you catch more crappie where you fish. Tony Adams of Eufaula, Alabama, holds two limits of crappie caught in 2 hours of fishing. When Adams had located the spot we’d fish for crappie, he had three rod holders set-up on the front of his boat and three on the back of the boat. He told me, “I have two rods rigged for tight-line fishing, and one rod rigged up with a slip bobber, but I don’t put the stopper in that slip bobber. I let the line go through the bobber and use the bobber as a strike detector. I fish with one to two, No. 4 size shot lead(s), depending on the wind, up the line, and a No. 6 wire crappie hook about 8-10 inches below the lead with 4-6-pound test line, depending on how thick the cover is where we’re fishing. “If I use a bobber stopper and fish 8-10 feet deep, when I try to reel up the crappie, the bobber stopper will hit the top guide on my rod, and I’ll have to pull the crappie in by hand. By not using the bobber stopper, I can reel up the crappie all the way to the surface and then swing it into the boat. Another advantage to not using a bobber stopper is that it allows you to see a strike that you may not be able to see, if you’re just watching 4-6-pound test line. 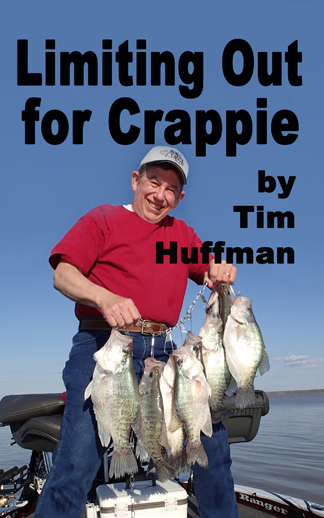 Crappie weighing 3/4 – 2 pounds is what Tony Adams considers keeper crappie. 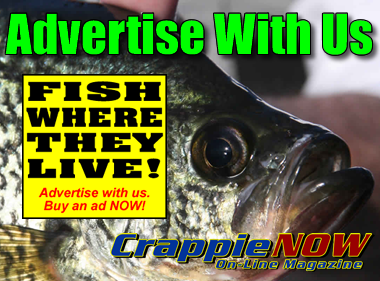 Fish attractors like these are an important part of successful, consistent crappie fishing. 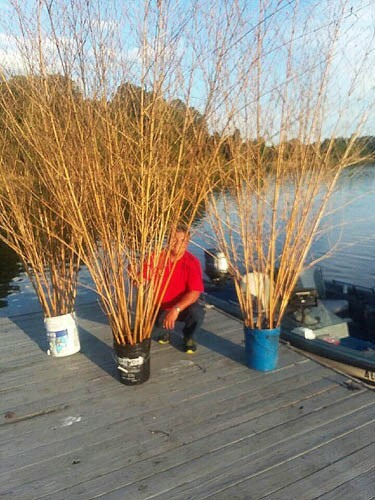 These use 5-gallon buckets, wild cane and concrete. Adams has a unique way of measuring his line, so his minnows will fish at the depths he prefers. In two hours, Adams and I had our crappie limits, and we returned to the boat ramp to pick up 7-year-old Mason Mogren. While Adams baited Mogren’s hooks, took crappie off and put them in the live well, Mason reached his limit of 30 keeper crappie in 45 minutes. Next Mason helped Adams and I pick up our catfish jugs with just over 100 pounds of catfish on them. Then we went back to the boat ramp, and I headed home with a cooler full of crappie and catfish fillets. I’ve never caught as many crappie and catfish or had as much fun as that day on Lake Eufaula. 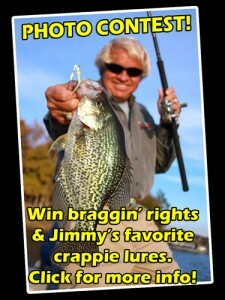 The good news is that Adams can produce that kind of day of crappie fishing at almost any time of the year. Contact Tony Adams at 334-688-7505 or tony.adams@marvins.com, and see photos of his fish on his Facebook page (https://www.facebook.com/tony.adams.5477).